The new Barnsley Independent will have a mix of exclusive news, sport and features backed up by We Are Barnsley's incredibly popular mix of views, opinion polls and interactivity that makes it the most talked about website in the borough. We want to give advertisers and our readers the best of both worlds. We have the look, feel and readability of a traditional newspaper - an experience still enjoyed by so many people, but fused with the engagement and response of the massive online audience built up by the Barnsley Independent's media partner, We Are Barnsley which has almost 80,000 Facebook followers. Gone are the days when clients were uncertain about whether the newspapers they were advertising in were actually reaching their target audience. Our hybrid distribution model is now GPS, satellite-tracked - with the routes mapped out digitally, targeting areas based on readership profiles and statistical data harvested from the local census and trusted government sources. 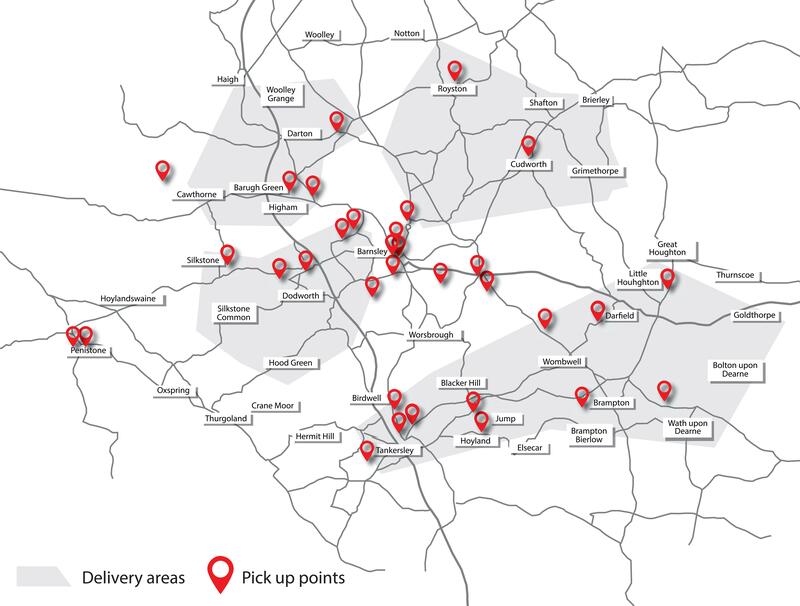 Half of our weekly circulation will be distributed by a team of delivery agents and a dynamic breakdown of any week's distribution profile can be provided to advertisers on request. All this means advertisers have peace of mind that their products and services will actually be seen by potential customers. But we're also working with some of the borough's biggest shops and retail outlets to ensure that the Barnsley Independent is also accessible to potential customers who can pick a copy up at their convenience when they are doing their weekly shop or going about their day-to-day business.